Photo hat tip to @amanda_paa at healthylifehappycook.com. 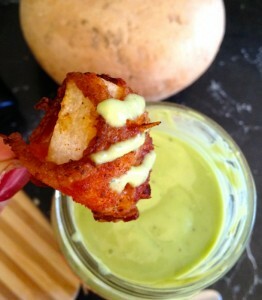 See below for more info on this delicious and easy to make bacony thing. Before we get to Wil Bailey’s rose’ pick part three, let’s talk a bit about wine and food pairings, specifically regarding dry rose’ wines. 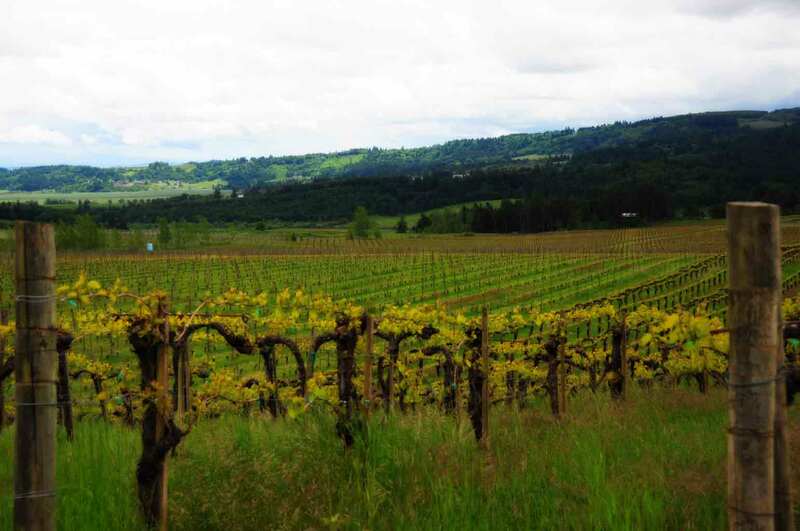 Most wine and food pairing is based on a primary feature of the food (for instance, the delicious oil of a Copper River Sockeye Salmon) with a feature in the wine (the acidity of Sauvignon Blanc to cut through that oil and richness). However, there are many dishes that defy the easy and predictable wine pairing. When vegetables, fat, and spice are all introduced in combo, what do you do? How about bold flavors like curry combined with zest of citrus? This is where rose’ really shines. A quick search on the web found a handful of recipes by local food bloggers that we think are ideal to show off the versatility of the dry pink wines of summer. Check these out and be sure to follow these blogs … all are super worthwhile. @freshtartsteph wrote up a great post about Quinoa cakes topped with a poached egg. The combination of the texture of the cakes, the greens involved, and the always delicious poached egg could be a challenge for many wines (the variety is tough to pair with), but a rose’ will work ideally. Wil’s rose’ pick part one would be particularly delicious with this dish. The prolific @amanda_paa over at Healthy Life, Happy Cook does a bevy of great recipes that often follow a gluten-free lifestyle. Keep in mind that gluten-free doesn’t mean un-delicious by any means, proven by the Bacon Wrapped Jicama with Cajun Spices. This might be the ultimate snacky back yard fare to start off a party, and the smoky bacon combined with the avocado sauce might be a tough balance for, say, a Sauvignon Blanc. Enter the magic of rose’, especially Wil’s pick part two, which can handle all sorts of variety thrown its way. But to really prove the point of rose’ being the ultimate in food pairing power, try this one out: Slow Braised Citrus Pork Curry from Keane via MNFoodDudes. The recipe is incredibly simple, but takes a few hours to cook in the oven. The combination of flavors is incredible, and most wines would have a hard time finding the perfect ‘hook’ to work with or against the flavors (you’ve got everything from pork to fish sauce to citrus to cilantro working here). So for a great pairing with this dish? See Wil’s rose’ pick part three, below. This is probably the biggest “surprise” for me of our 2012 Rose’s for four reasons. One – I generally don’t like Bordeaux Rose very much. I usually find them short on both fruit and intensity and often a little bitter. They often strike me as very much afterthought wines from producers who aren’t paying much attention to them. Two – I generally don’t like Cabernet Sauvignon based Rose’s very much (this wine is 85% Cabernet Sauvignon and 15% Merlot). I find a lot of Cabernet based Rose’s to be “trying too hard”. I feel like they are often over extracted and missing the freshness and joy I’m looking for in most Rose’s or (if they are harvested earlier) they are kind if green and unpleasant – apologies to any great Cabernet Rose producers I’ve just offended. 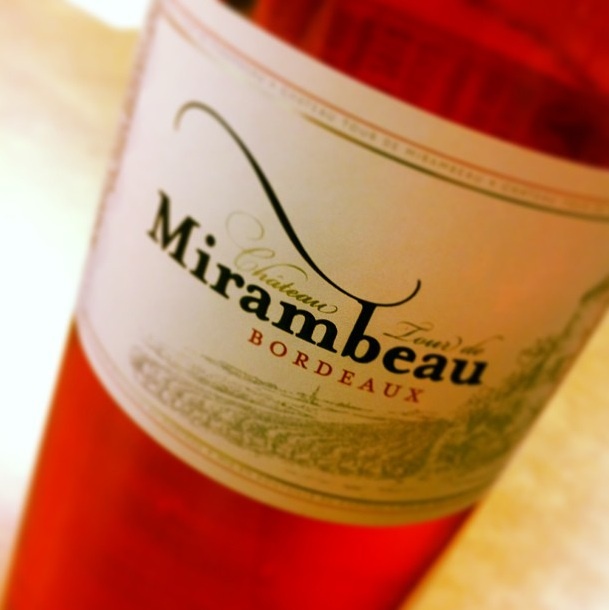 Three – The red wine production at Tour de Mirambeau is about 80% Merlot, so it never occurred to me that their Rose would be so driven by Cabernet. Four – This wine tastes great! This is our first vintage working with this wine. It is bright, intense and juicy. It has a pronounced spicy quality which is clearly the yummy side of Cabernet Rose I’ve been missing before. And to top it all off, it’s priced such that you can share it with lots of your friends and show them how tasty Bordeaux Rose can really be. The following list of accounts have purchased the Chateau Tour de Mirambeau Rose’ 2012. Please call ahead to confirm availability. Accounts are listed alphabetically by city.